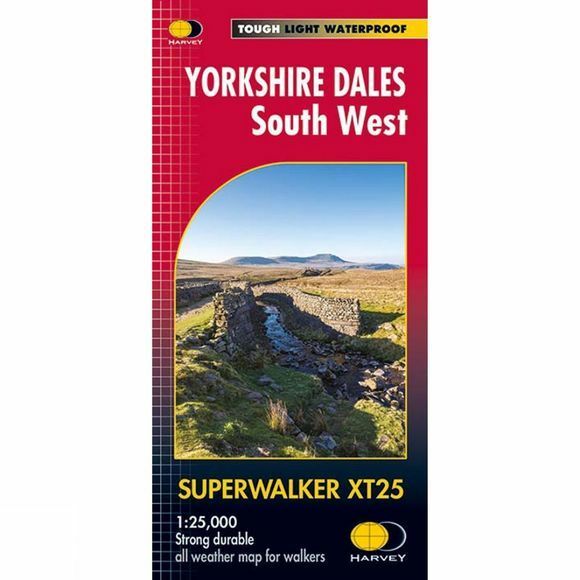 The Yorkshire Dales South West Superwalker Map 1:25K from Harvey Maps. Tough, light, durable and 100% waterproof. Genuine original HARVEY mapping. Opens directly to either side of the sheet. Easy to re-fold.